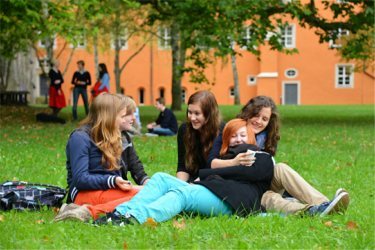 Landesschule Pforta is a German boarding school with a long tradition and special concept of furthering talented students in languages, music and natural sciences. 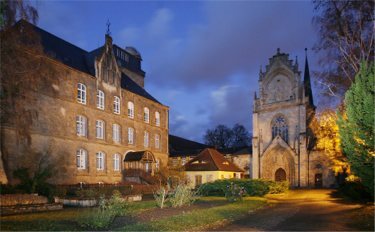 It was as early as 1543, when Moritz Duke of Saxony transformed the old monastery, located 60 km from Leipzig in the valley of the river Saale, into a boarding school to prepare its students in the best way for university. After the Napoleonic wars the school became Prussian and developed into one of the most famous schools in Germany. In the 20th century, however, due to the rise and fall of the Nazis and then of the German Democratic Republic many things changed. Today the school is maintained by the German state Saxony-Anhalt. At Pforta about 300 students, today more girls than boys, from all parts of Germany live and learn from the 9th to the 12th grade, i.e. from the age of 14 to 18. Conditions of admission are good performances at school, social involvement and passing the entrance examination. Furthermore, students are expected to be highly motivated to take up the special challenges of a boarding school. 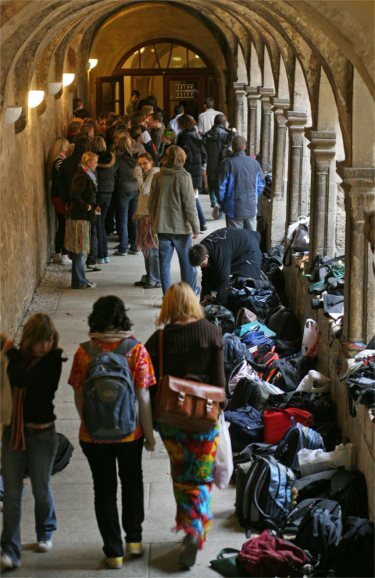 The idea of the school's founder to further talented students without regard to their parents' income or social status is still respected by the state of Saxony-Anhalt: There is a boarding fee of 350 Euro a month, for students from Saxonia-Anhalt of only 250 Euro. Further support comes from the Schulpforta Foundation.